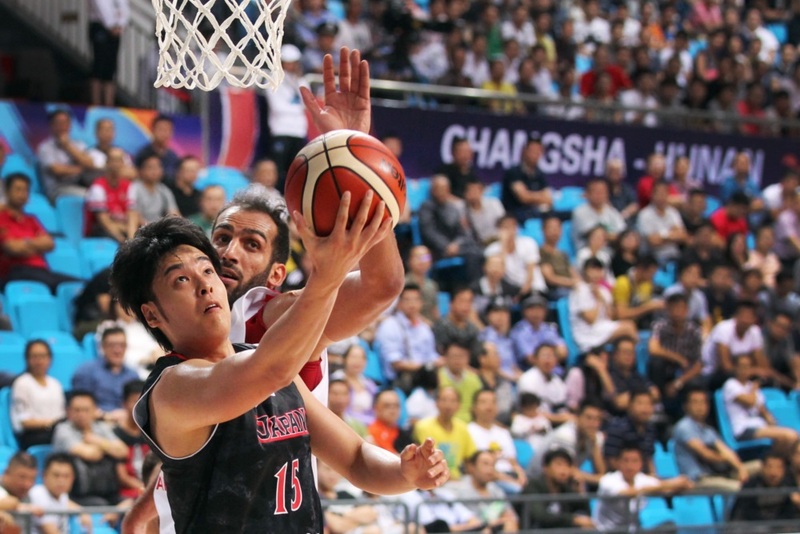 Japan weren't really tipped to be among the top teams in the 2015 FIBA Asia Championship. This was not really surprising given how the team had fared in the past 15 or so years. Additionally, they also weren't bringing in any naturalized player to compensate for their traditional weakness - size. Instead, coach Kenji Hasegawa was content to go to Changsha-Hunan with an all-local crew that was relatively undersized and that was missing some big names (e.g. Kosuke Takeuchi, Kosuke Kanamaru, Naoto Tsuji, Takuya Kawamura, etc.). By all intents and purposes, Team Hayabusa was facing tall odds in the biennial event, and it seemed like they wouldn't be able to break out of the disappointingly mediocre cycle that has plagued their recent basketball history. Japan surprised a lot of people by finishing in the top four this year despite an all-local crew. For a long time, Japan were secure in their place as one of the most successful basketball teams in Asia. They were twice champions of Asia (1965 and 1971) and have finished on the podium 14 times (third most behind Korea and China). The team qualified for the Olympic Games six times (1936, 1956, 1960, 1964, 1972, 1976) and for the FIBA Basketball World Cup four times (1963, 1967, 1998, 2006 - as hosts). Apart from those achievements, however, Japan's most recent travails have been generally fruitless. The last time they finished in the top four of the FIBA Asia Championships was nearly two decades ago in 1997, and their most recent top five finish was ten years ago in Doha, Qatar. Big man Joji Takeuchi knows all too well how Japan has struggled these past years. Amidst Japan's stupor, countries from West Asia emerged as powerhouses (e.g. Iran, Lebanon, and Jordan), while peers from East Asia remained perennial title contenders (Chinese Taipei and the Philippines, in particular, have played very well the past few years). By all indications, this was a team that needed a big boost, especially after only recently getting reinstated by FIBA. Thankfully for Team Hayabusa, they got that boost in this year’s biggest continental tournament. 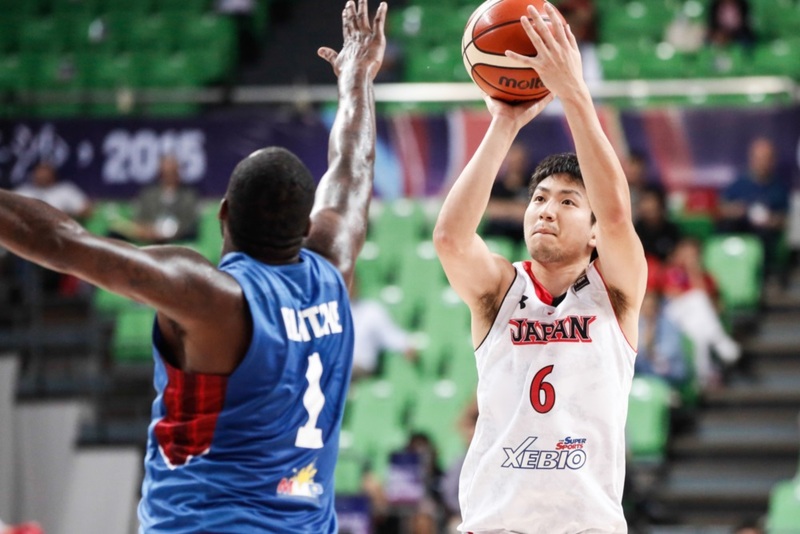 Yuta Tabuse played in the FIBA Asia Championship for the first time this year. After an embarrassing opening day loss to Iran, 86-48, coach Hasegawa's wards won four of their next five games to qualify for the knockout Quarter-Finals. Japan outclassed Malaysia, India, and Hong Kong in that span while also narrowly upending Palestine. 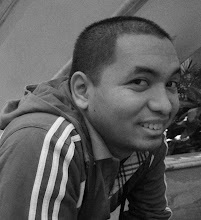 Their only loss before the third round of the competition was to the Philippines, 73-66. Waiting for Team Hayabusa in the knockout round were the Qataris, who were, on average, two inches taller than the Japanese and who already recorded impressive wins over tough teams Kazakhstan, Lebanon, and Korea. Qatar were favored in this match-up as they had promising veteran players Mohamed Yousef and Saad Abdulrahman Ali together with naturalized player and former Los Angeles Laker Trey Johnson leading the charge. Despite the odds being stacked against them, however, coach Hasegawa's men would not be denied. With fluid play and sharp execution, Japan barged into the Semi-Finals. Promising guard Makoto Hiejima showcased his all-around brilliance in that encounter, recording 17 points, 6 rebounds, 4 assists, and 4 steals. Hiejima was actually Japan’s best player in the entire competition, eventually averaging 15.0 points, 2.8 rebounds, 3.2 assists, and 1.8 steals per game while also shooting 48.3 percent from the field and 92.0 percent from the free throw line. Young swingman Makoto Hiejima was a revelation this year for Team Hayabusa. Japan would eventually lose again to the Philippines before falling to the mighty Iranians to finish just outside of the top three, but, without a shadow of a doubt, it was a performance worth remembering for the Nippon quintet. 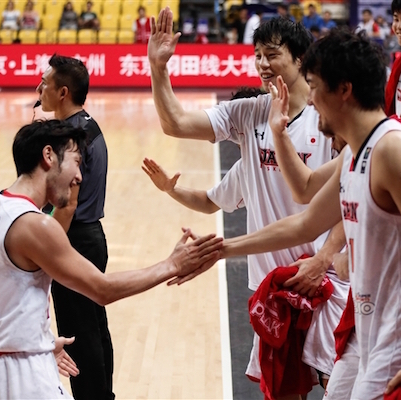 It was an incredible follow-up to the team’s third-place finish in the 2014 Asian Games, and it sure looked like a portent of things to come for Japanese basketball. 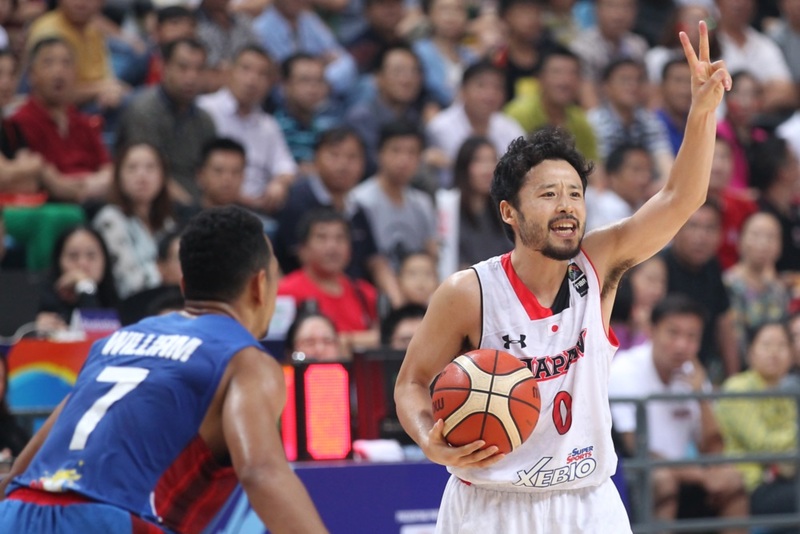 Japan's scintillating run at the 2015 FIBA Asia Championship showed how a team could pull off big wins and be highly competitive even sans a naturalized player, a foreign coach, or a slew of seven-footers. Team Hayabusa did what they have always done best - defend, run, and shoot - and used these to their fullest capacity. Of course, it also helped that a few rising stars were present to prop up their hopes. Aside from the aforementioned Hiejima, guys like Daiki Tanaka, Ryumo Ono, Ryoma Hashimoto, and Gaku Arao - all still in their 20s - impressed with their energy and resiliency. With other up-and-coming young guns ascending the ladder of talent in Nippon hoops - Yuta Watanabe, Rui Hachimura, Akito Uchida, and Yudai Nishida come to mind - it certainly seems like the time is ripe for Japan to make another breakthrough in the next couple of years and finally bring home some hardware at the senior level. Team Hayabusa have awoken from their daze! The fighting falcons are back as a great force to be reckoned with in Asian basketball! FOR MORE COVERAGE OF FIBA BASKETBALL HERE!